BuyHTTP is the perfect place to host your social networking site. We support all of the most popular wiki scripts and have a 1 click installer for Beatz, Dolphin, Elgg, Etano, Jcow, Oxwall, and PeoplePods. Social networking sites are a great way to get your visitors engaged. Engaged visitors come back and spread the word about your site. Full compatibility with most popular social networking platforms. Start Your Social Networking Account Now! This list includes some of the social networking systems that can be installed with our 1-click installer system, Softaculous. This is not an all inclusive list of systems that will run on our servers. If you don’t see your preferred script listed, feel free to contact us to see if it will work. 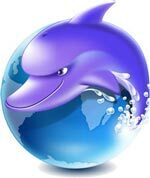 Dolphin is the world’s most advanced community software. Open-source, independent, downloadable, scalable, customizable, full-featured, free software for building social networks, dating sites and web-communities. Loaded with video chat, recorder, video player, forums, groups, events, video messenger, mailbox, desktop app, video sharing, photo sharing, iPhone app and much more. Build your own business or advance your hobby with Dolphin! Elgg empowers individuals, groups and institutions to create their own fully-featured social environment. Elgg, started in 2004, is an open source social engine which powers all kinds of social environments – from education and business to martial arts and rugby. If you are looking for a professional social intranet or want to run a site for your organisation, Elgg is a great choice.